The capacity to comply with abusive authority is humanity's fatal flaw. Fortunately, within the human family there are anti-authoritarians--people comfortable questioning the legitimacy of authority and challenging and resisting its illegitimate forms. However, as Resisting Illegitimate Authority reveals, authoritarians attempt to marginalize anti-authoritarians, who are scorned, shunned, financially punished, psychopathologized, criminalized, and even assassinated. 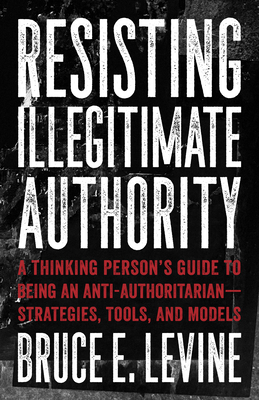 Profiling a diverse group of U.S. anti-authoritarians--including Thomas Paine, Ralph Nader, Malcolm X, and Lenny Bruce--in order to glean useful lessons from their lives, Resisting Illegitmate Authority is the first self-help manual for anti-authoritarians. Discussing anti-authoritarian approaches to depression, relationships, and parenting, it provides political, spiritual, philosophical, and psychological tools to help those suffering violence and marginalization in a society whose most ardent cheerleaders for "freedom" are often its most obedient and docile citizens. Resisting Illegitimate Authority is about bigotry, but not bigotry directed at race, religion, gender, or sexual preference. It is about bigotry directed at rebellious personalities and temperaments.